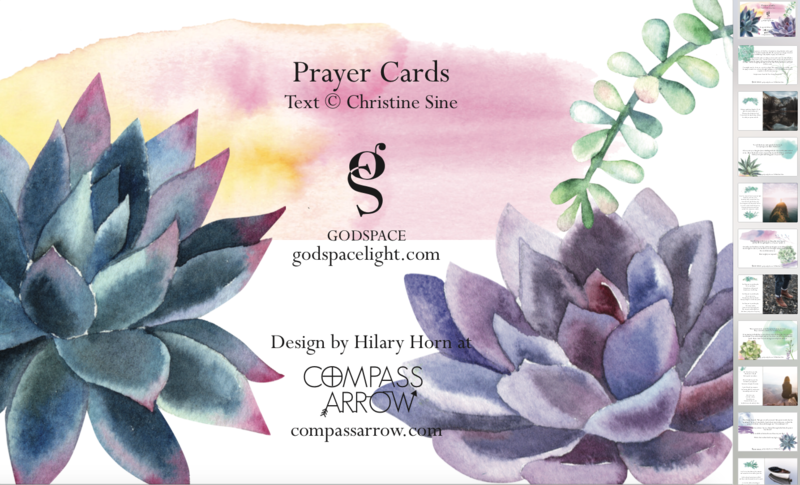 Beautiful Prayer Cards with prayers by Christine Sine and crafted by Hilary Horn with watercolor succulent design and contemplative imagery. 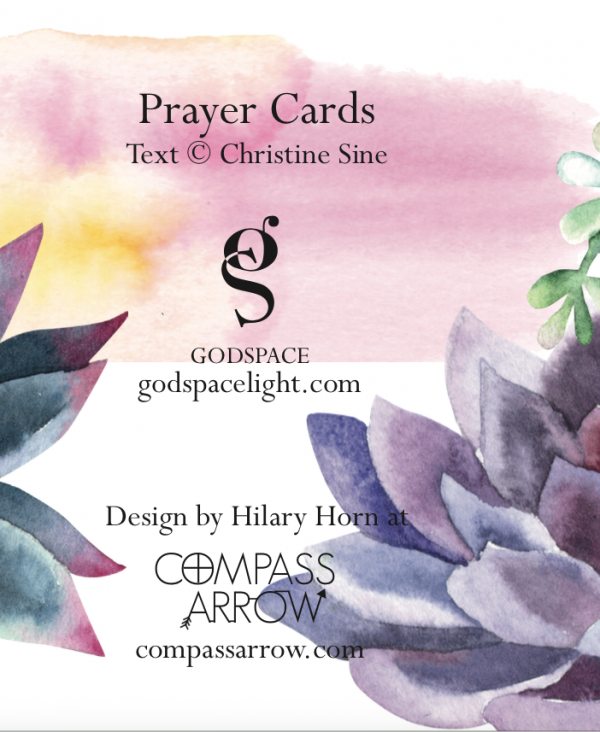 Pre-order yours in the next week and we will mail you a beautiful copy of the prayer cards in the next month. 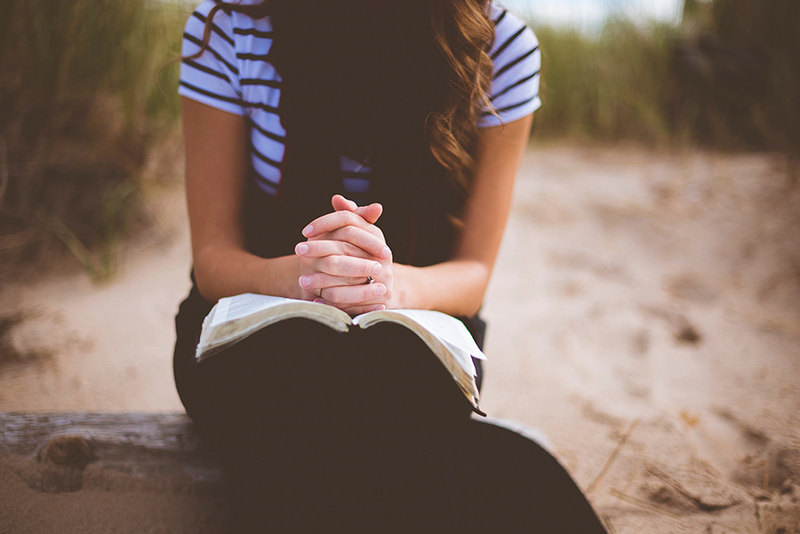 1 set is 9.99 3 sets are $25.99. 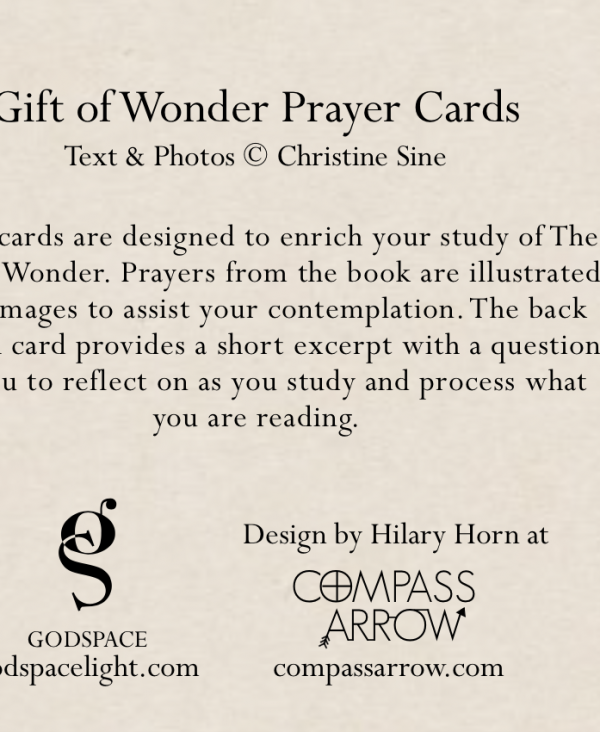 This set of prayers is designed to enrich your personal devotional life. 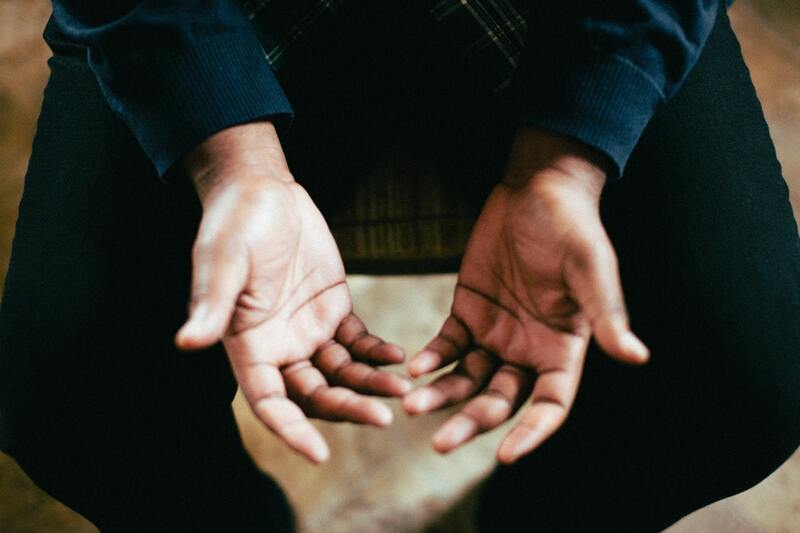 They can be used by individuals to start a daily time of prayer, as an introductory prayer in a group meeting or for spiritual direction, counseling and even grief counseling. Enjoy!